Fall is absolutely my favorite season. I love every single thing about it! 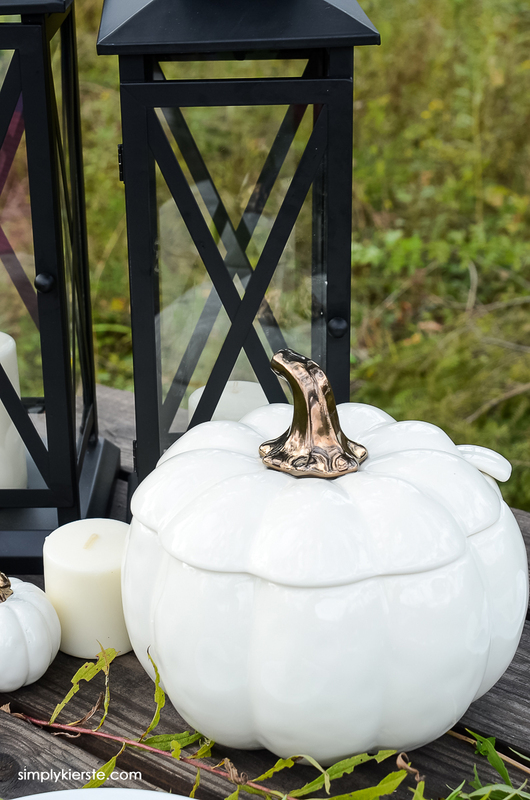 The vibrant colors, crisp air, smell of smoke coming from the chimneys, leaf piles, pumpkins on the porch, yummy food, and most of all, friends and family gathering together. 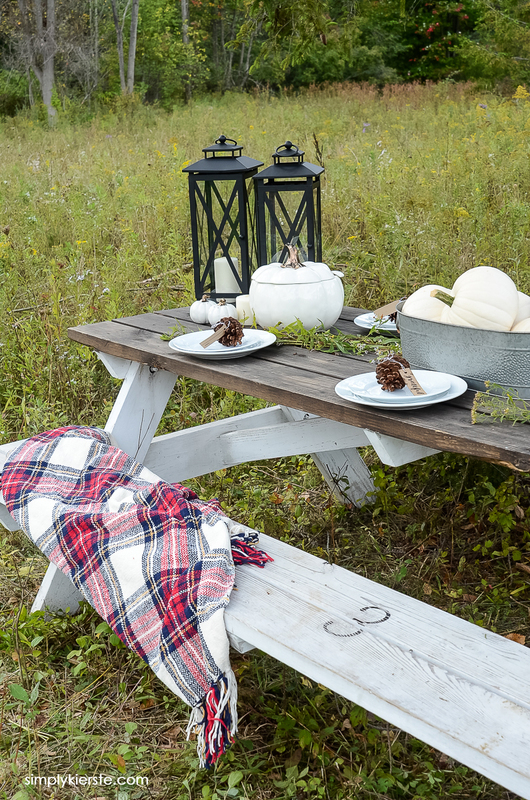 We love to eat outside whenever we can during the fall, and I wanted to create a simple and cozy Farmhouse Fall Tablescape that would be perfect for all of our fall entertaining. 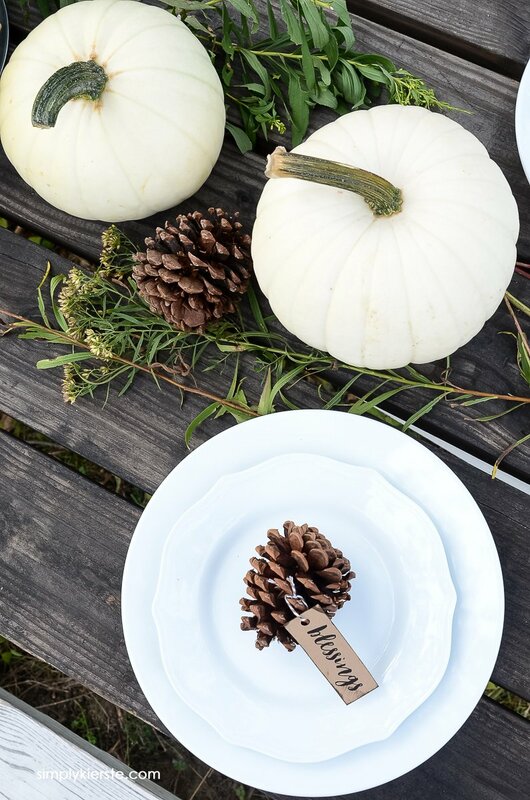 If we’re lucky, the weather will cooperate and we will be able to eat outside for Thanksgiving too! 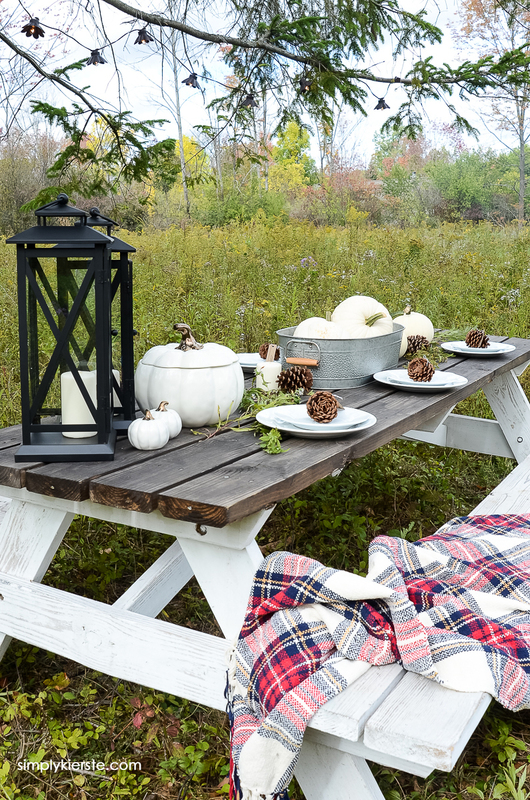 My vision for this fall tablescape was simple, neutral, and cozy–and one that looked like it belonged nestled in my backyard. 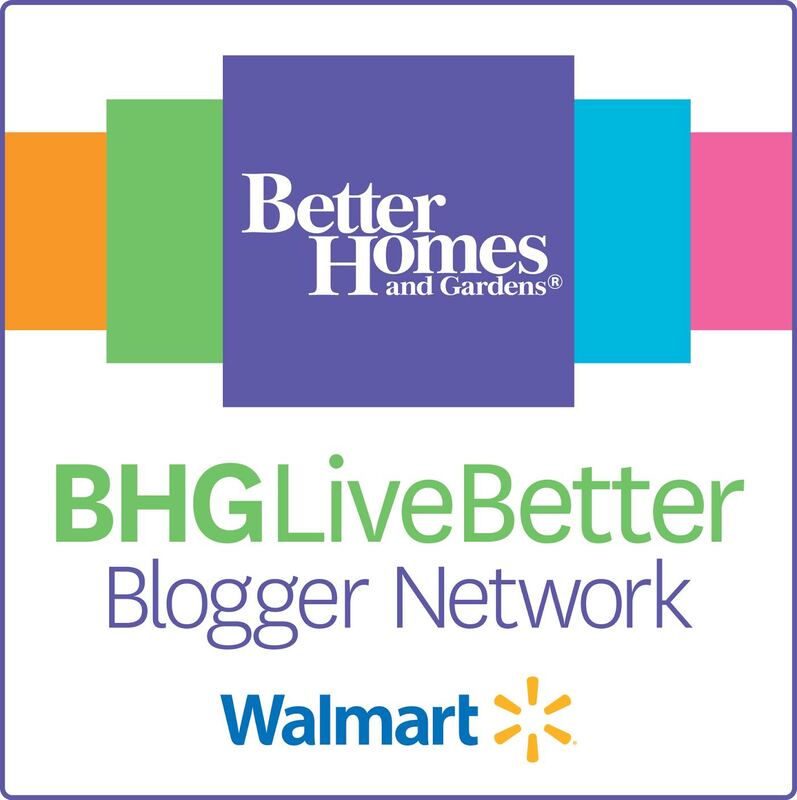 Thank you to Better Homes and Gardens at Walmart for sponsoring this post! 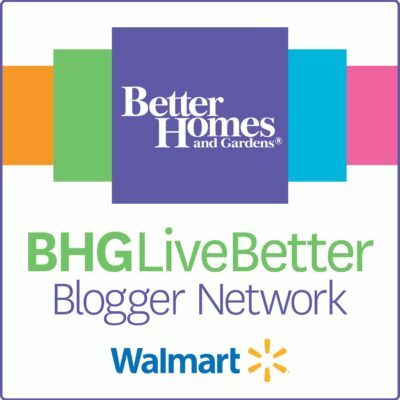 All opinions about their darling products are 100% mine. 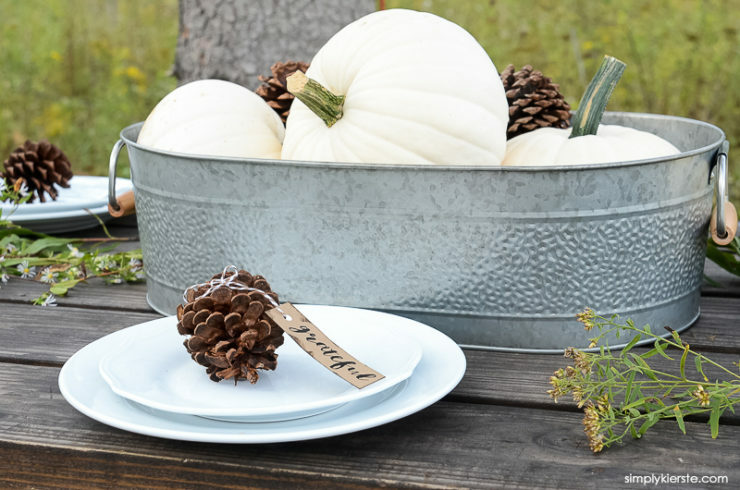 As a centerpiece, I used a Textured Galvanized Tub from Better Homes and Gardens at Walmart that looks amazing filled with white pumpkins, then I added a few more pumpkins, pine cones, and greenery from our backyard as additional accents. 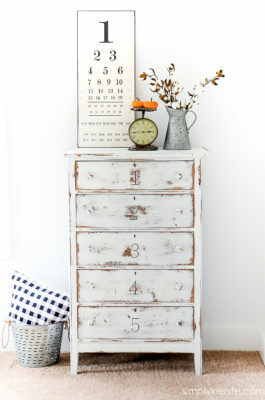 I adore the simplicity–not only in the way it looks, but the fact that it took just a few minutes to do. That’s my favorite way to do things! 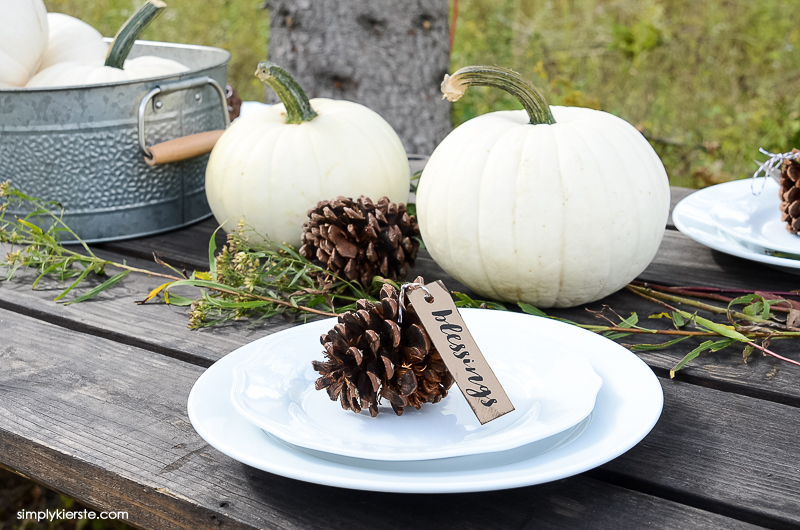 When it comes to the tableware, I love to start with classic white dishes. 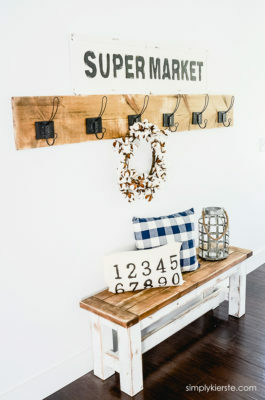 They’ve always been my favorite, and they’re perfect for a farmhouse style table. 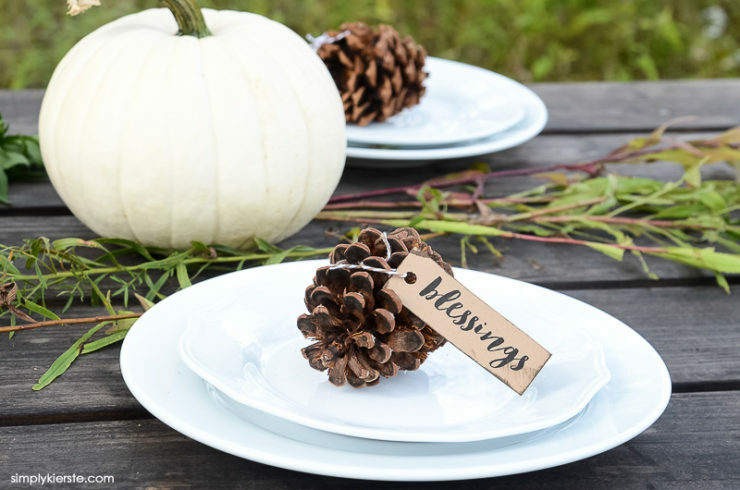 I started with the round dinner plates, then added the most darling scalloped salad plates on top that add the perfect amount of charm. A scented pine cone on each plate, along with a gratitude tag printed on kraft cardstock make simple and adorable place cards. 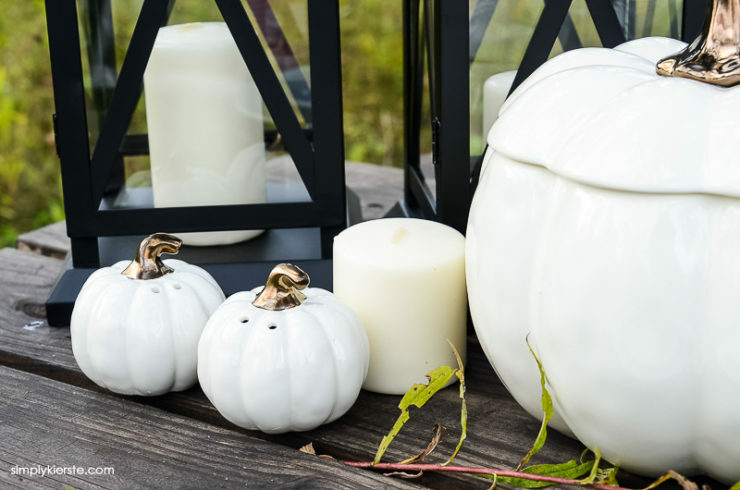 I absolutely fell in love with this darling Pumpkin Soup Tureen and matching Salt & Pepper shakers, and when I saw them I knew they were exactly what I needed to go along with my neutral white theme. Seriously–I can’t wait to serve soup out of it, and can you believe it was less than $16? 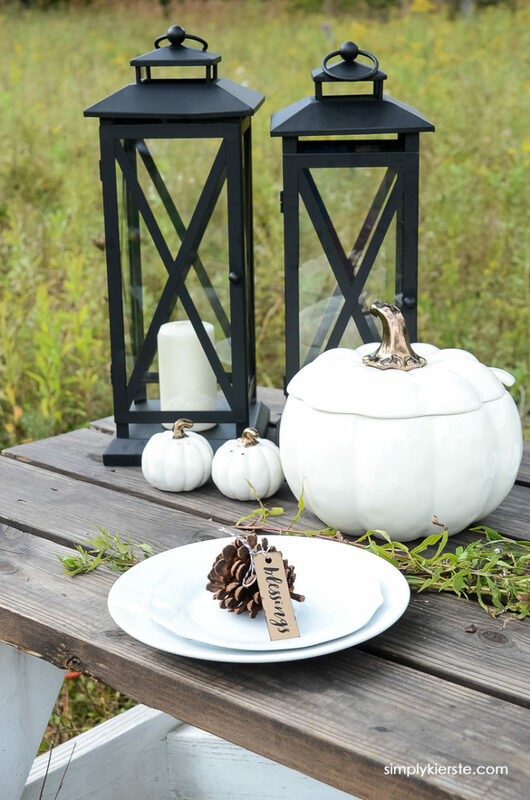 If you’re eating outdoors, then lighting is a must, and I wanted it to add to the overall ambiance as well, so I chose the cutest metal lanterns ever! 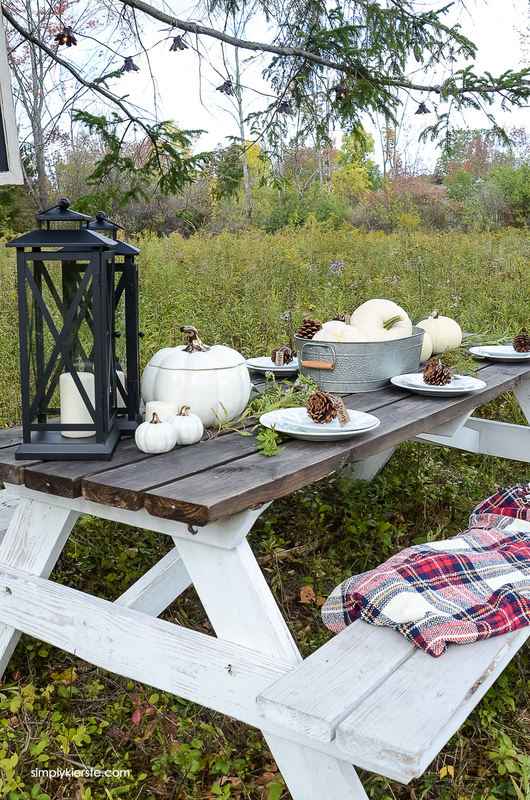 I love love them sitting on the table, and when they’re not part of the tablescape, they go perfectly in my kitchen…or front porch…or anywhere! Since our farmhouse picnic table is under a tree, I knew I wanted string lights along the branches too. 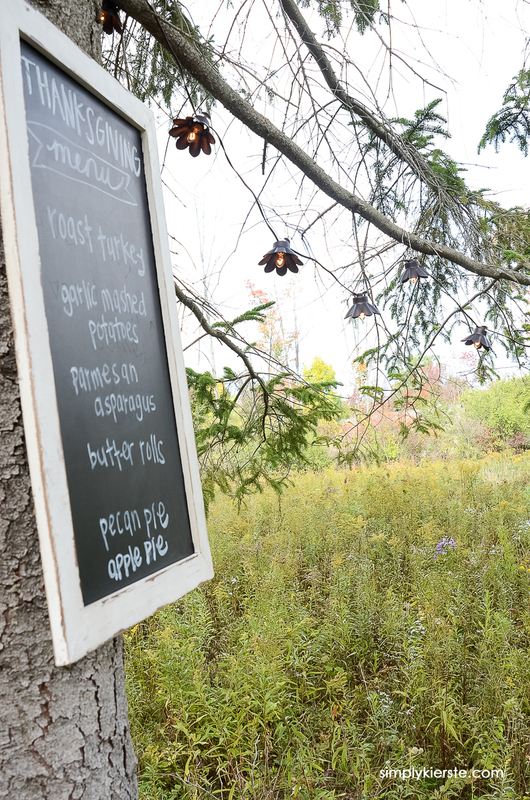 I thought it would be fun to add a framed chalkboard to the tree to showcase our menu, and I love it! The final touch? A cozy chenille throw that ties everything together, and is just what you need when the air turns a little chilly. 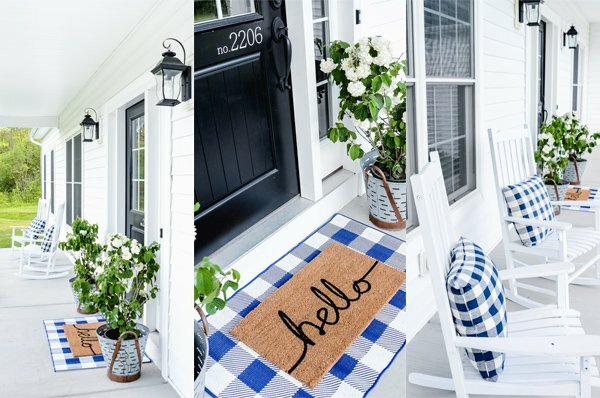 Find more farmhouse style HERE, including my Farmhouse Kitchen! 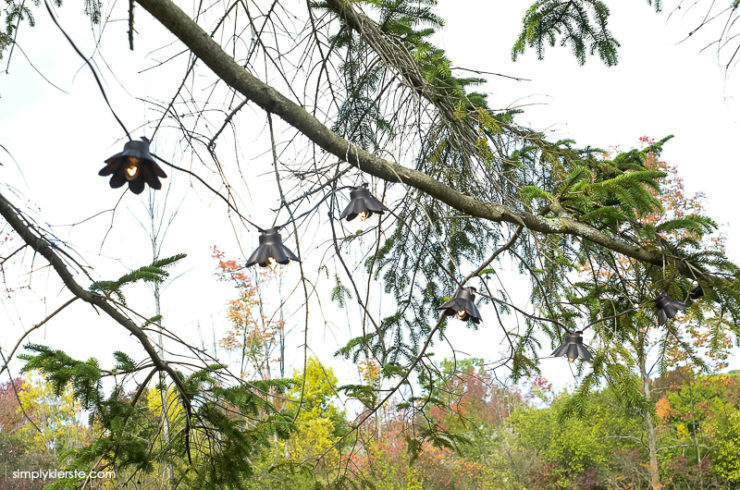 Those lanterns! 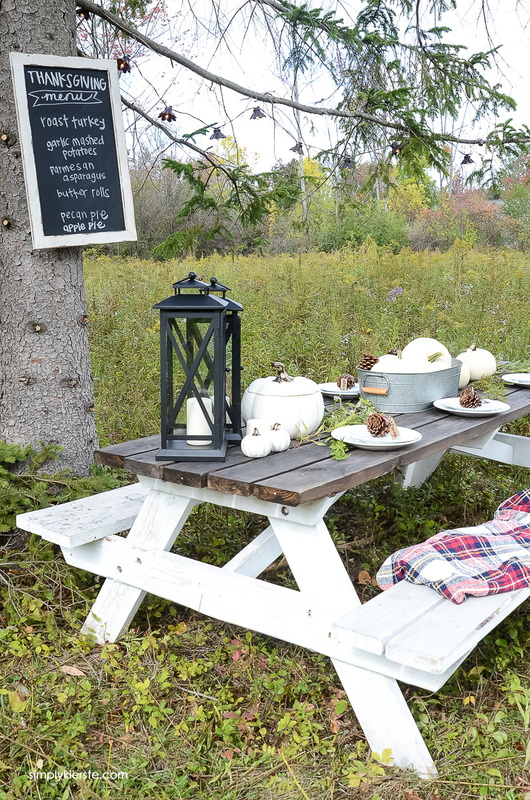 I would really enjoy a meal at your farmhouse table! This is just the prettiest setting! What a neat spot to entertain. Heidi, thank you so much!!!! xoxo And glad I could help, lol. This whole setup is gorgeous and breathtaking! This is beyond beautiful! So lovely! This is just one of the prettiest county settings. Your talent is really on display here. Great job!